As Mentioned in last week’s report, the week began with a monster blowout. 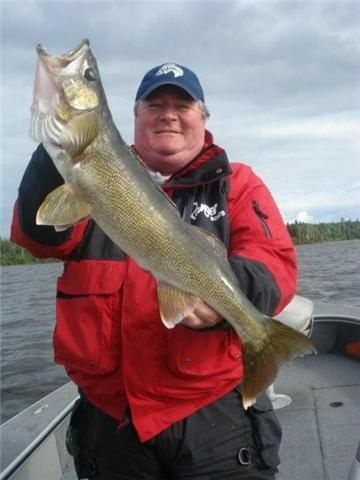 One boat tried to fish for part of the day on Saturday, but conceded defeat after a few hours. We expected the high winds, torrential rains, and cold temps, would throw the bite on Sunday for a loop. 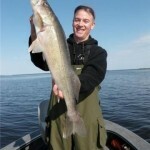 Instead, we caught 11 walleyes over 27 inches along with good volume for medium sized fish. The weather improved modestly throughout the week and without dramatic changes, we didn’t expect to see too much change for production from the previous weeks. 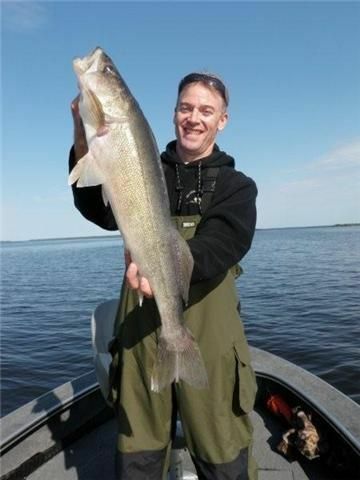 Instead, we saw not only an increase in the number of large walleyes, but we also had a dramatic increase in the total numbers of walleyes caught. 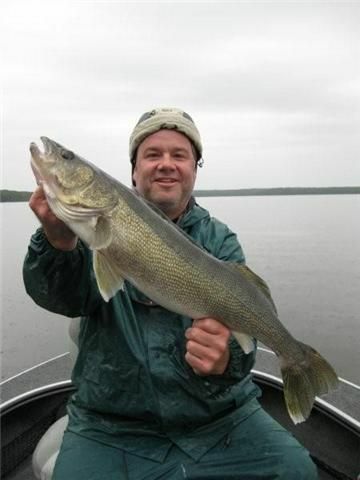 For the week we had 39 walleyes over 27 in., including 7-28s. 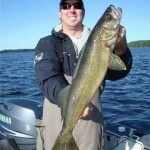 Guide sheets averaged about 40 walleyes over 18 in. per day and the highest daily total was 61. 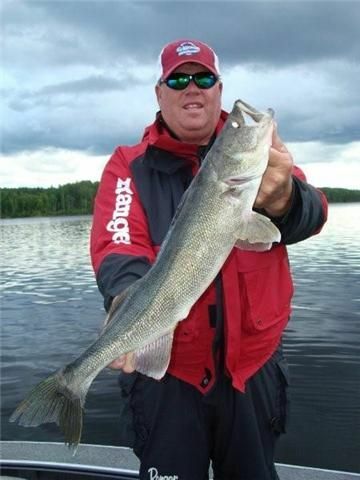 It was a good week and at round table many guides admitted to being surprised at how many 4-6 lb walleyes they were catching along with the big fish, even though the weather still wasn’t summer-like. I have talked about it so many times that anyone reading these reports knows that SWWL guides are going to religiously check out all depths and speeds before settling into a groove. This week, the shallow water bite was not very strong. There were a few fish caught shallow, but it was never fast and for the most part, the big ones were deeper. Jigs in sizes ¼ oz. with bigger minnows were the preferred presentation. Most of the 26 in. 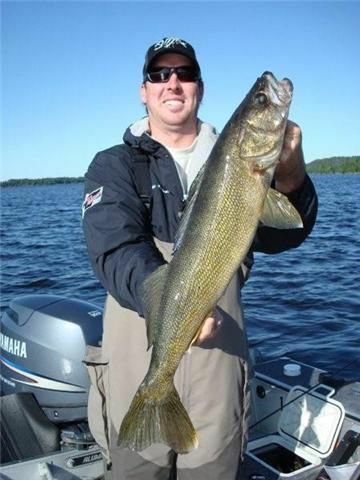 plus sized walleyes were caught in 20 – 30 ft. of water on main lake sand. 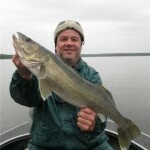 Main lake rock has been a bust even though guides have been spot checking it for weeks. 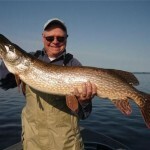 There was no effort spent on Bass or Pike, yet we did land another monster pike this week while walleye fishing. 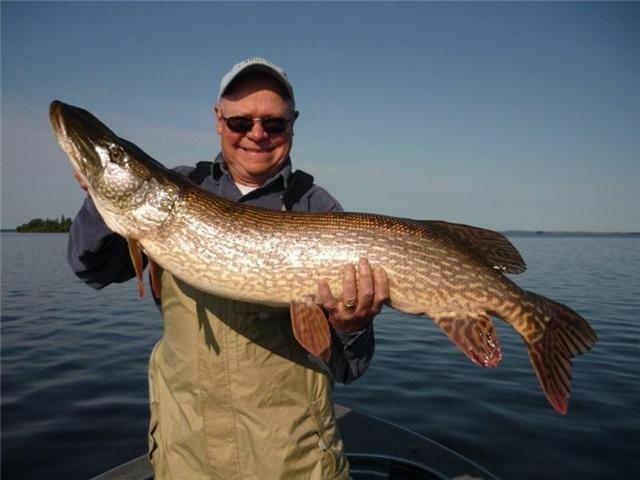 Chuck Warnert caught a massive 43in. 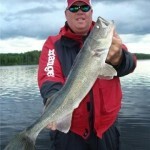 pike while fishing on one of our regular summer walleye spots. His fish is the 5th over 43 in. for the season.